The message and letters quoted below indicate the esteem and Pride which the Conserver has earned from her superiors as a result of your successful efforts in refloating the U.S.S. Frank Knox (DDR-742) on 24 August 1965. During the period of 24 July through 26 August, which included the task towing the Knox stern first to Kaohsiung, you willingly worked long arduous hours against seemingly insuperable odds with no though of reward other than seeing the Frank Knox float again. Your devotion to duty, diligence and continued demonstration of professional skill aided immeasurably in seeing this mission through to its successful conclusion. Your indomitable spirit and outstanding performance were in keeping with the highest traditions of the United States Naval Service. 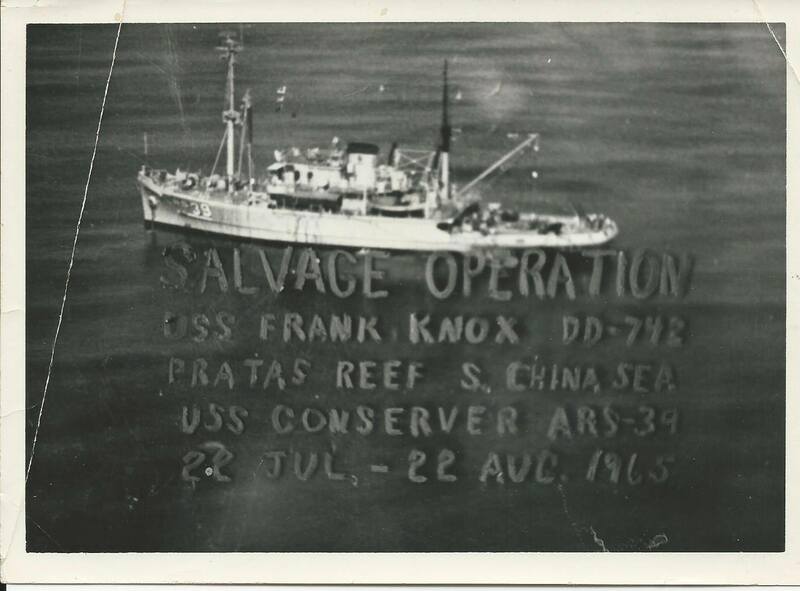 I have followed with great interest the salvage operations on USS Frank Knox. It is apparent that the operations were successfully completed only though the perseverance, skill, and ingenuity of the officers and enlisted personnel involved. Please extend my personal well done to all concerned. U.S.S. 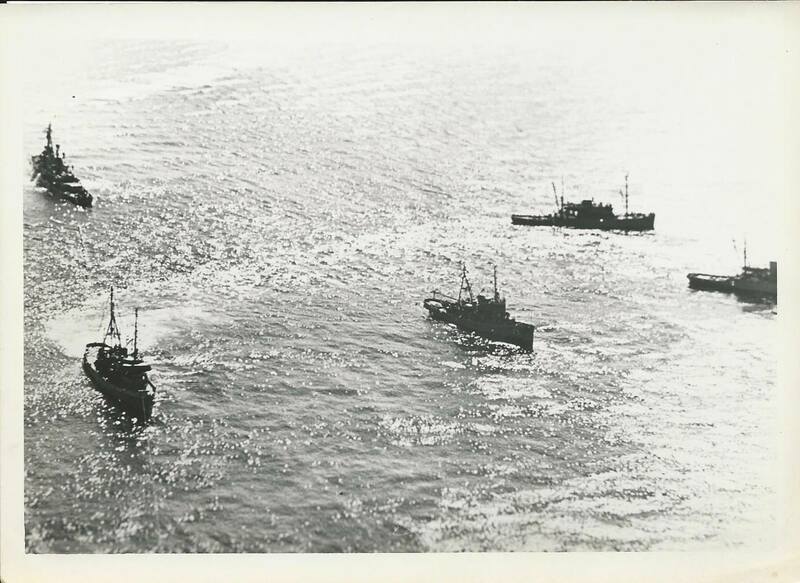 Conserver participated in this successful operation and CTF 73 desires to commend the Commanding Officer, Officers and Enlisted men for their significant contribution, From the time of arrival at the salvage scene on 24 July until arrival Kaohsiung with Frank Knox in two 26 August, Conserver provided maximum support by applying all phases of salvage technique both prior to and during the vital foaming operations. Conserver may be justifiably proud of the role she played in salvage of Frank Knox. Well Done! Without the “Can Do” attitude, devotion to duty, spirit of cooperation and outstanding performance of the Officers and Men of Conserver, the successful salvage of Frank Knox well have been Jeopardized. Shipmate Bill Gabriel has saved for all there years several historical documents of interest, at least to those who were on board at that time. Written by Commanding Officer, Lt Cdr C.A. Weegar. We encourage anyone who has any similar documents to share them on this website.